PwC, one of the ‘big four’ professional services organisations, needed to attract more diverse talent – going beyond just accountants. 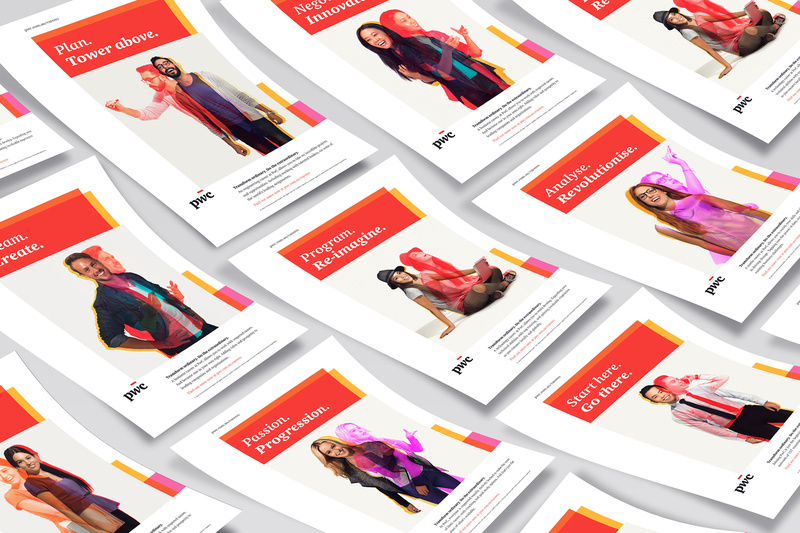 Targeting STEM (Science, Technology, Engineering, Mathematics) students, PwC required an employment campaign that not only resonated with this target market, but stood out. 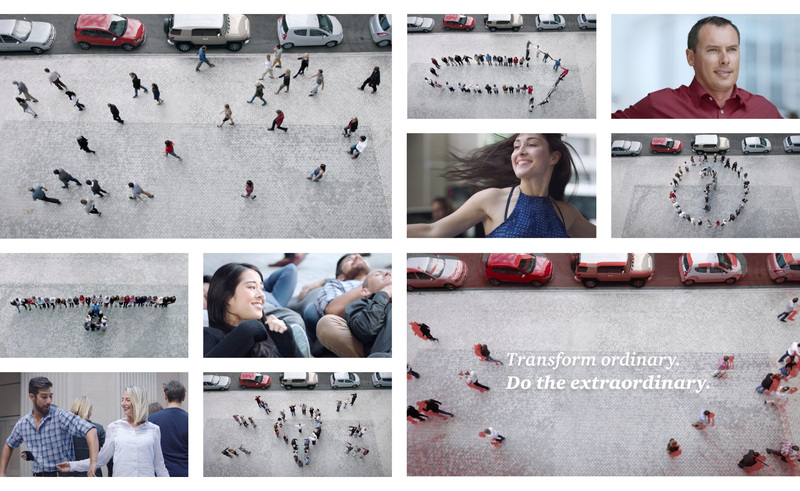 Exploring PwC’s campaign theme ‘Transform ordinary. 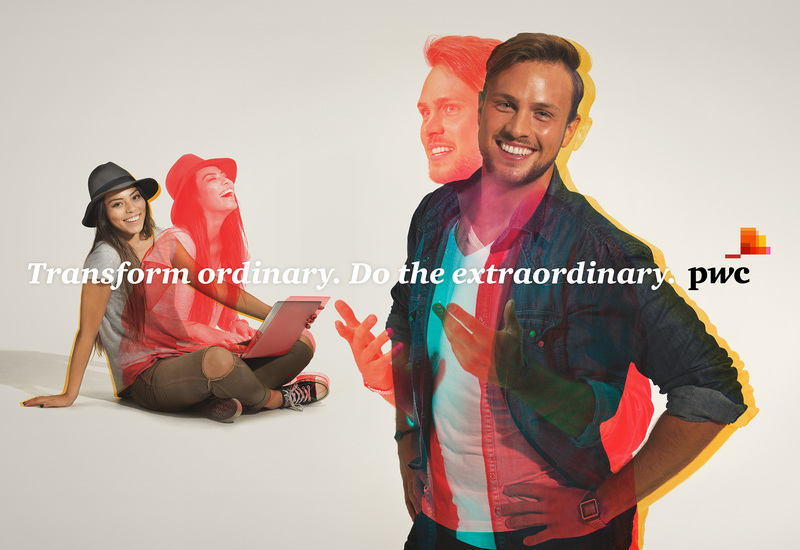 Do the extraordinary’, I developed a campaign highlighting the rewarding possibilities when pairing your skills with PwC. 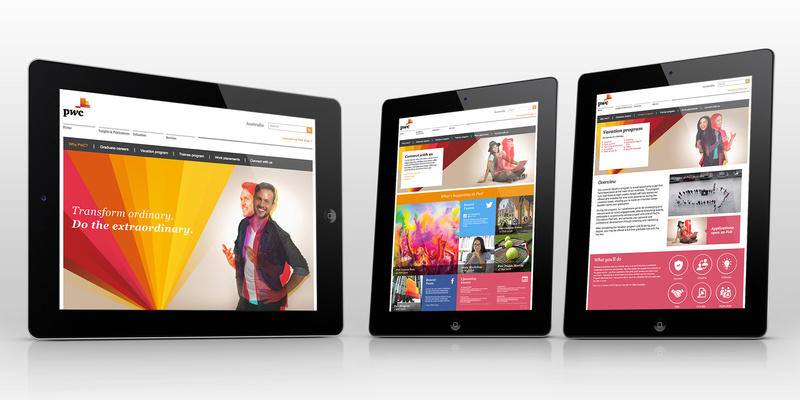 The visual treatment paired two images together to create a distinctive look unique to PwC. This idea was devised by exploring scientific principle of light rays. When a light beam is passed through crystal it becomes separated, splitting into ‘ordinary’ and ‘extraordinary’ rays. A perfect analogy to describe the extraordinary career opportunities for this integrated campaign (including print, website, display, social, activation and video). The photo booth activation continued to transform the ordinary. 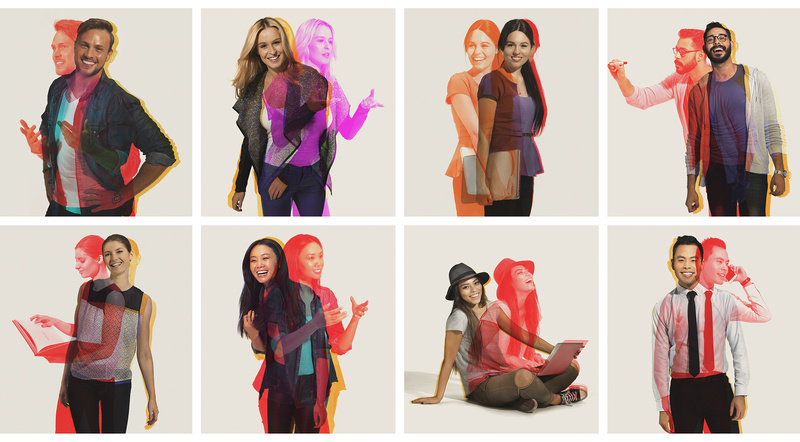 Students posed for a photo which layered their poses to show different sides of them in the same look as all the campaign communication material. This helped the students to internalise how PwC will enable them to achieve the extraordinary. The photos were shared through social channels. With the campaign video, we simply wanted to leave a powerful single-minded thought in the viewer’s minds: PwC offer a diverse group of people multiple career options, and the opportunity to achieve things out of the ordinary. 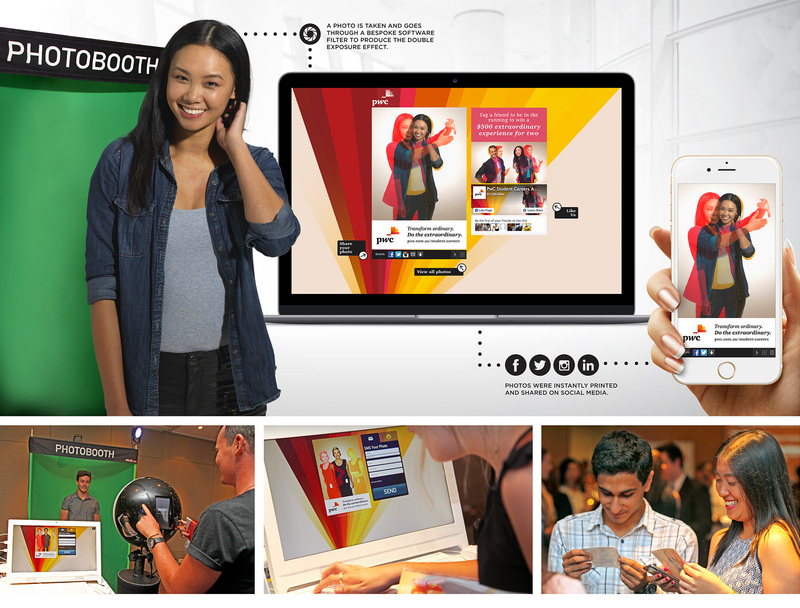 Photo booth activation created 20,855 impressions on social media. 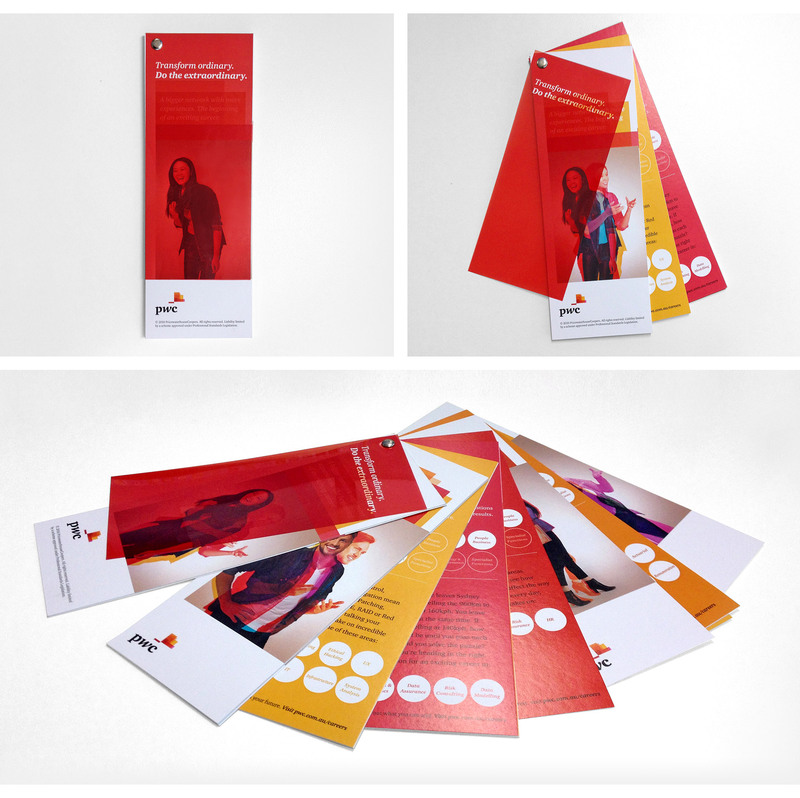 This PwC Graduate Recruitment Campaign was a finalist in Australian Graphic Design Association (AGDA) awards for ‘Design Effectiveness’.